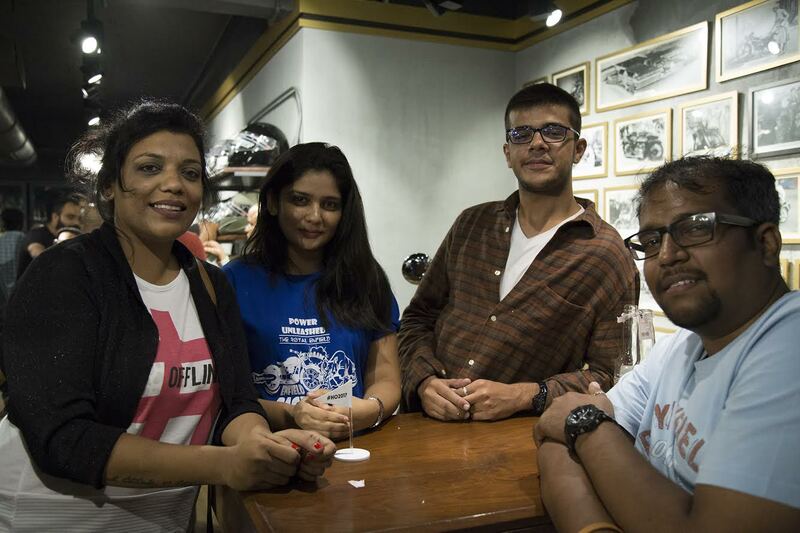 Mumbai, 5 July, 2017: To celebrate the growing passion of community riding amongst motorcycling enthusiasts and riders, Royal Enfield hosted an event with the riding community at Royal Enfield’s exclusive gear store in Khar, Mumbai on Saturday. 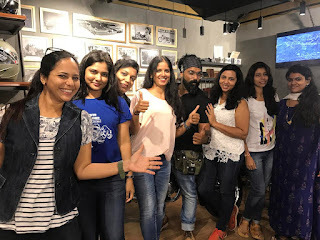 The evening witnessed participation by over 30 men and women motorcycle enthusiasts and riders who engaged in conversations around Himalayan Odyssey and community riding overall. The focus of the gathering was also to encouraging more people to follow their passion for motorcycling. The motorcyclists spoke about how they are preparing to be on the Himalayan Odyssey. Some of the experienced riders provided some golden tips about riding in the Himalayas to those riders who are visiting that terrain for the first time. The event was a precursor to Royal Enfield’s 14th edition of Himalayan Odyssey which will be held from July 6th to July 23rd this year. Himalayan Odyssey is considered one of the most gratifying motorcycle journeys in the world from Delhi to Khardung-La - the highest motorable road in the world at 18300 feet above sea level. For the 14th edition of Himalayan Odyssey this year, Royal Enfield is taking over 50 participants on the Himalayan Odyssey including men and women. One of the biggest motorcycle ride of its kind in the world, Himalayan Odyssey will see participants traversing through some of the roughest terrains and highest mountain passes in the world covering a distance of close to 2200 kilometresin 18 days on their Enfield motorcycles. The Himalayas have been the mecca for motorcyclists and the Royal Enfield Himalayan Odyssey has been their chosen journey to ride through the mighty mountains. Year on year Royal Enfield riders gather at Delhi to thump all the way to Khardung-La to experience one of the most memorable motorcycling journeys in the world. The ride will witness camaraderie of fans and participants flagging off on Saturday, 8th July, 2017 from India Gate in New Delhi. What is interesting to see is the camaraderie amongst riders from different corners of India and the world that grows stronger with every passing day. During the ride, the weather would shift remarkably, from scorching hot to icy cold as riders will make their way to the picturesque regions of the Himalayas, which house within themselves one of the most hostile environments for motorcycling including Narkanda, Sarchu, Jispa and Leh, all the way to Khardung-La. Each turn exposes the riders to a new landscape like no other, eventually getting them surrounded by the overwhelming beauty of the great Himalayan peaks. The period between the months of May and August is the ideal time when hundreds of Royal Enfield motorcyclists ride up to the Himalayas. The HO is an opportunity for passionate men and women who seek to look beyond the obvious and venture into the unchartered territories of one of the most challenging terrains in the world. A journey of self-discovery for many, the Himalayan Odyssey has given birth to inspiring stories that become a part of motorcycling folklore. At a time when our lives have come to be defined by our professional selves, Himalayan Odyssey appeals to the free spirited motorcycle rider in oneself and quintessential seeker of life beyond concrete jungles. The ride emphasizes on harmony with the terrain while at the same time encouraging one to overcome their personal barriers and realize the potential that lies within them. Over the past 15-20 years, scores of riders have had the pleasure of riding their Royal Enfield motorcycles through the picturesque landscape of Ladakh to Leh and then beyond to Khardung La.